I must apologize for the lack of new posts on Genrify.com lately. I wish I could say that it would get better soon, but I think things will be light here for the rest of the summer. But I remain committed to highlighting awesome genre blends, and hope to get back to normal eventually. In the meantime, here are your new releases for July. 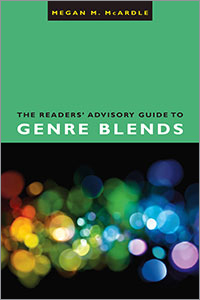 Summer is typically a somewhat lighter season for publishing, but there’s still plenty to read for blend lovers. Of this month’s new titles, I would recommend Wesley Chu’s exciting new SF thriller Time Salvager , which is non-stop fun and even has a touch of romance. Everyone who loved the action and SF of ernest Cline’s Ready Player One should run out and buy or borrow Armada . There’s also a new Max Gladstone book, although this one reads more like straight fantasy than some of the previous books that combined legal thrillers, mysteries and fantasy. If I had to pick just one blend to read this month, though, it would be Natasha Pulley’s The Watchmaker of Filigree Street , which flawlessly combines fantasy, mystery and historical fiction with a bit of romance. It is so well-constructed that I immediately wanted to read it again to see how Pulley did it, especially since this is a debut novel.